Arnica cram one of the primary first aid remedies. Arnica cream is commonly applied to the skin for getting relief from pain and swelling associated with bruises, aches and sprains. It is primary first aid remedy, as it is used for treating bruises, sprains and strains, muscle, legs and joints pain, rheumatic pain and inflammation caused from sports injuries, hematomas, contusions and fracture related injuries. This nature’s anti-inflammatory is known for its ability to reduce swelling and some surgeons recommend this cream as a remedy to minimize post-surgical swelling. Research has shown that applying Arnica cream to an arthritic body part leads to remarkable improvement. For skin care this cream can be used for healing bruises, sunburns, minor burns and superficial phlebitis. 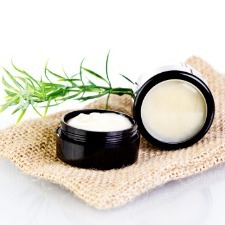 Our Arnica cream is lovingly hand made by our herbalist using 20% herbal extract. Herbsonlineshop's arnica cream is made to order to maximise freshness and shelf life.